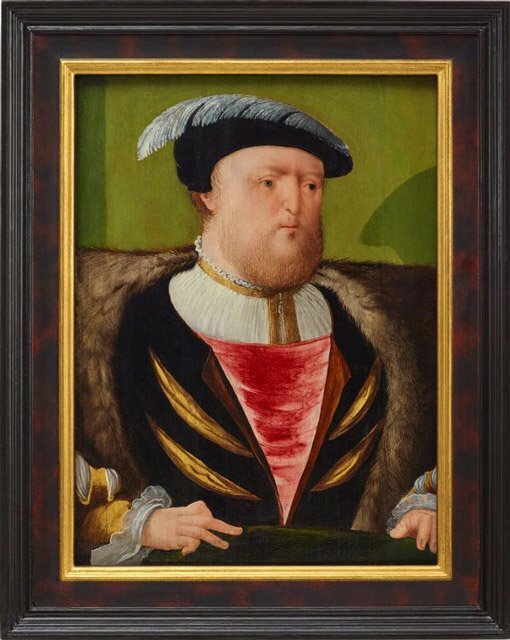 Recent research on the Henry VIII portrait in the Art Gallery of NSW collection has confirmed the painting is indeed some 500 years old and one of a group of similar artworks now in various UK collections. With those mysteries unmasked, came new questions to answer. What were picture frames like in Tudor England, and how do you go about making a reproduction frame fit for a king? The original frames on both paintings were the inspiration for making the reproduction frame for ‘our’ Henry, which until recently was surrounded by an unsympathetic 20th-century frame. 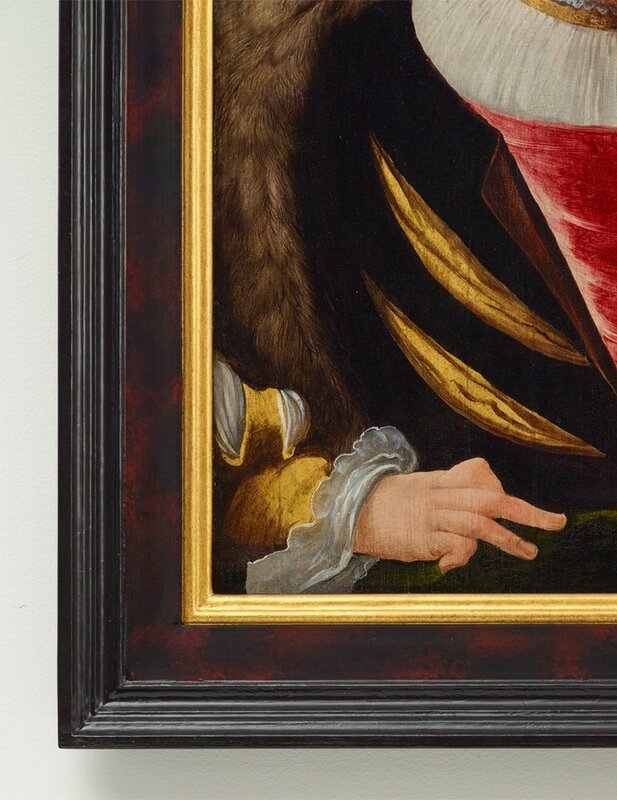 A frame on an English painting from the Tudor era formed an integral part of the artwork. The painting itself was usually made on a wooden panel, most commonly of oak. 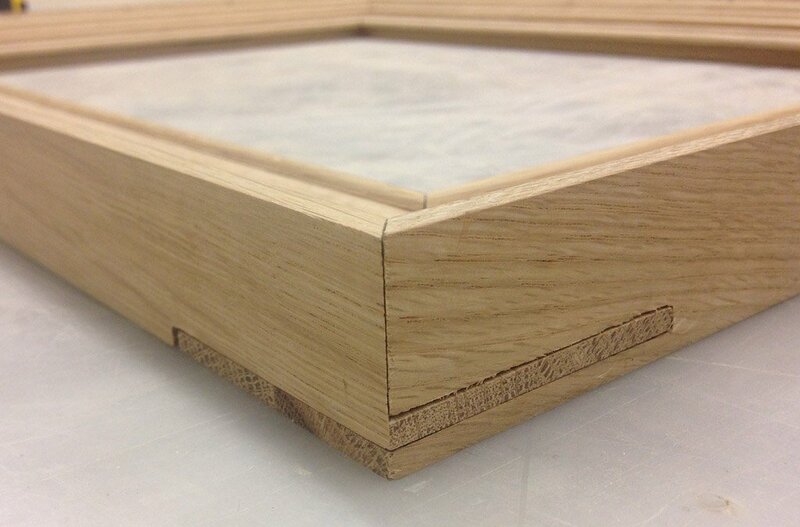 The frame, also made of oak, was assembled with the panel at the start, before any gesso or paint was applied. The frame moulding was either nailed to the edges of the panel or grooves were cut into the inner edges of the four sides of the frame, which ‘engaged’ the panel before the panel and frame were fixed together with wooden dowels supporting the lap joints. Once joined, the panel could not be removed from the frame without damaging it; the grooves at the back would have to be cut out to free the panel. 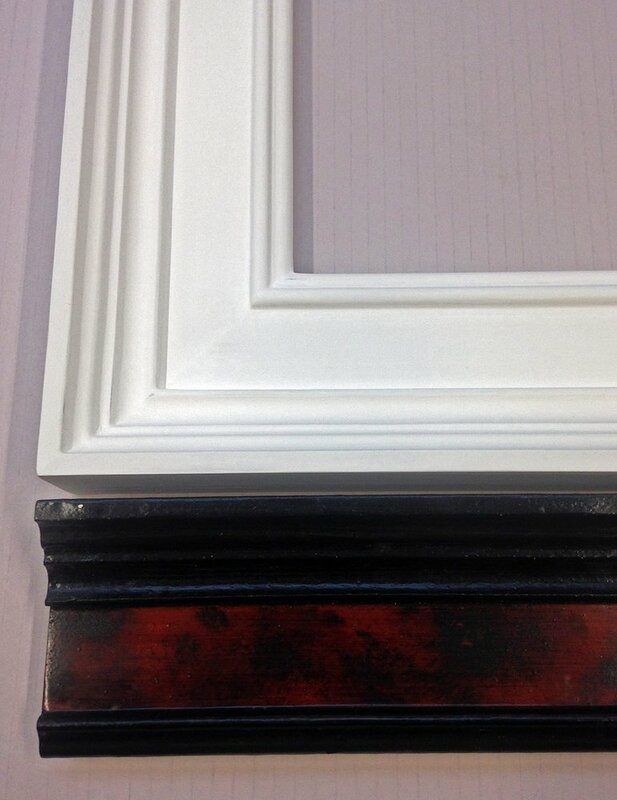 These ‘engaged’ or ‘integral’ frames were of simple design, with a painted finish and gilt sight edge moulding. Sometimes the inner frieze might be decorated with lettering. 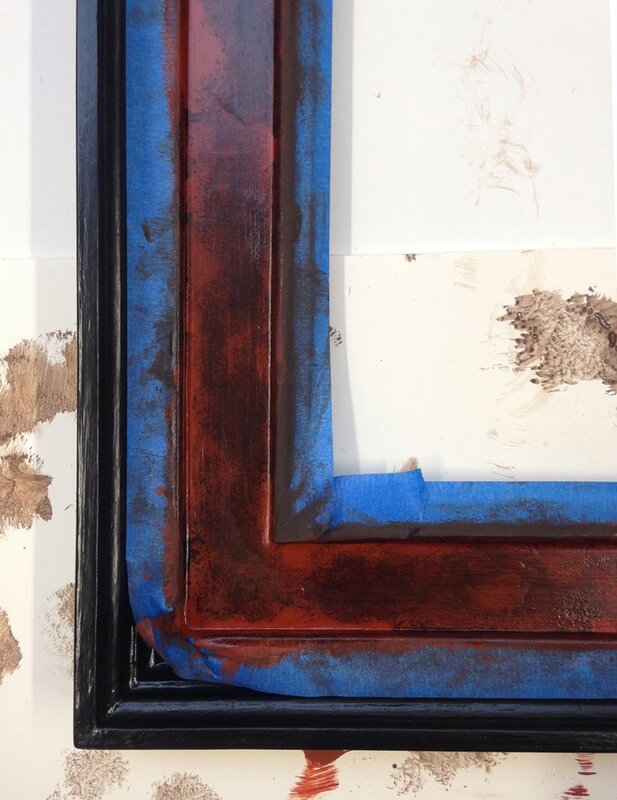 A conservation report on the National Portrait Gallery artwork revealed that the outer moulding of the frame was painted with lamp black followed by a clear resin-based varnish, while the central inner frieze was decorated with an imitation of tortoiseshell, created with smoky azurite brushstrokes applied over a red ochre base and finished with a reddish oil-based coating. 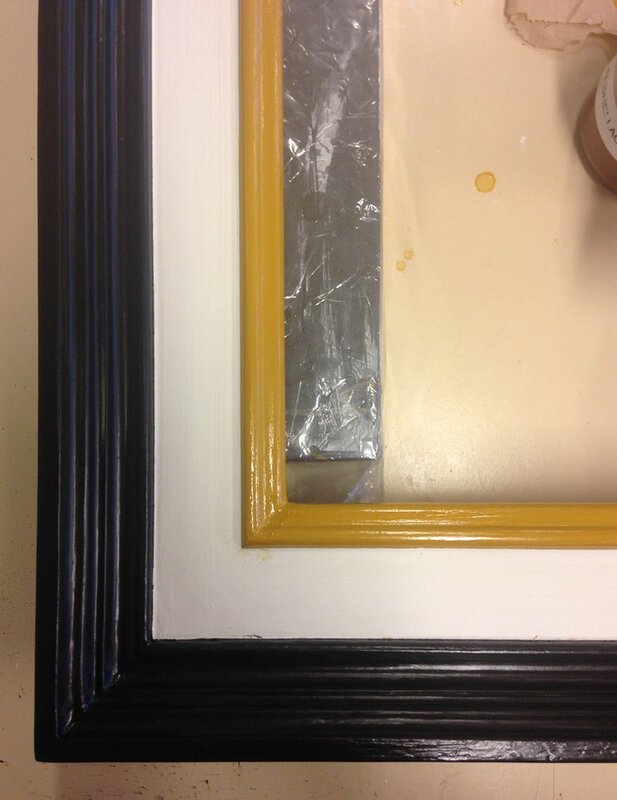 The sight edge moulding was oil-gilded over an ochre and chalk-based foundation. Scans showed that the back of the frame was painted yellow with orpiment (sulphide of arsenic) and chalk, as was the back of the panel. A profile matching the dimensions of the NPG Henry VIII frame was cut from specially sourced oak. 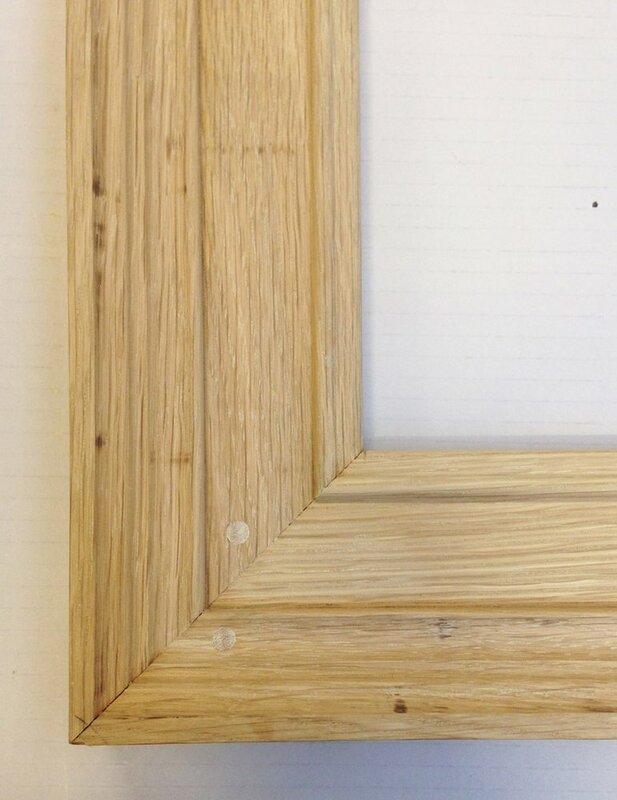 The original Tudor frame corner joints were replicated with mitred bridle joints and oak dowel pins inserted through the face of the frame to secure them. The finishing layers followed the original design scheme: the imitation tortoiseshell finish on the frieze together with a gilded inner edge and lamp black outer moulding. We also slightly modernised our frame. As well as adding UV-filter glazing, we created a kind of micro-climate ‘vitrine’. 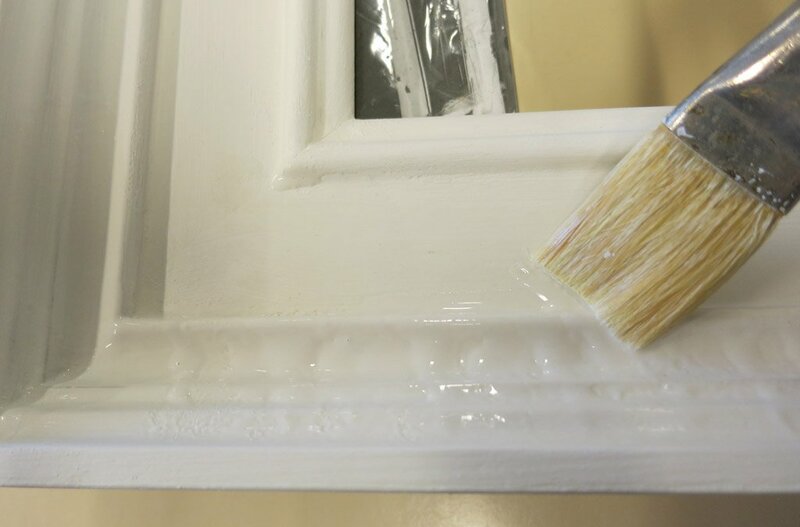 Consisting of a gasket between the frame rebate and the rear backing support, with an internal seal, this feature essentially protects the artwork from changes in climate that can have adverse effects on the wooden support and, subsequently, on the paint layers. You can browse a slideshow of photos of the frame reconstruction. Click on one of the small images to begin. 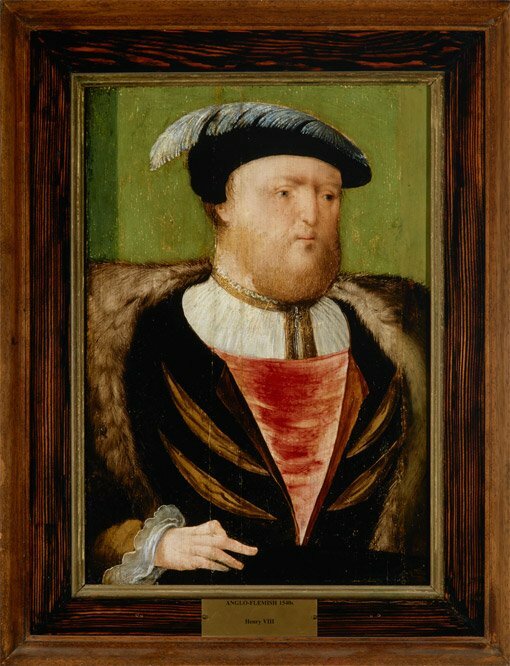 The National Portrait Gallery’s Henry VIII in its original frame. 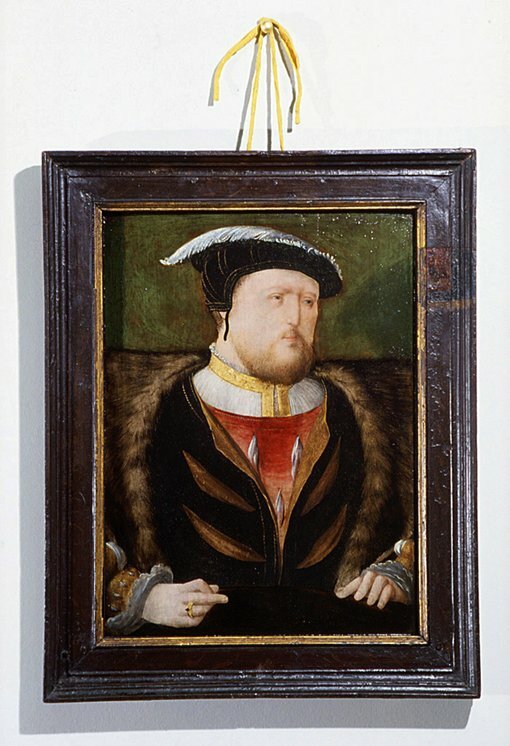 Detail of the NPG’s Henry VIII frame showing the surface investigation to identify the painted layers and original finish. Progress shot of moulding cut in oak for the new Art Gallery of NSW Henry VIII frame. The profile replicates that of the NPG’s original. Mitred bridle joint, as per original frame. Corner mitre fixed in place with dowel pins. Applying gesso, unevenly to add texture to the finish. 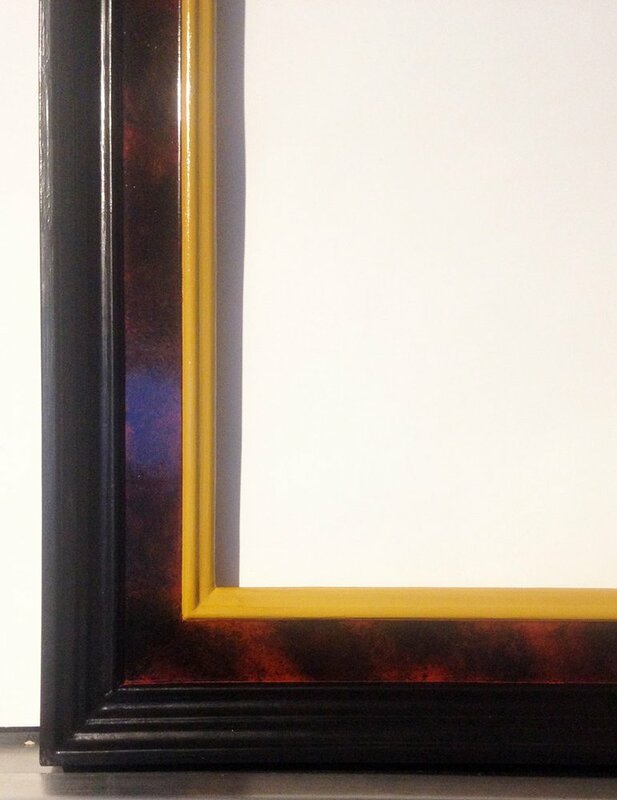 The gessoed frame with a sample showing the lamp black outer edge and imitation tortoiseshell frieze. Lamp black finish applied to the outer edge. 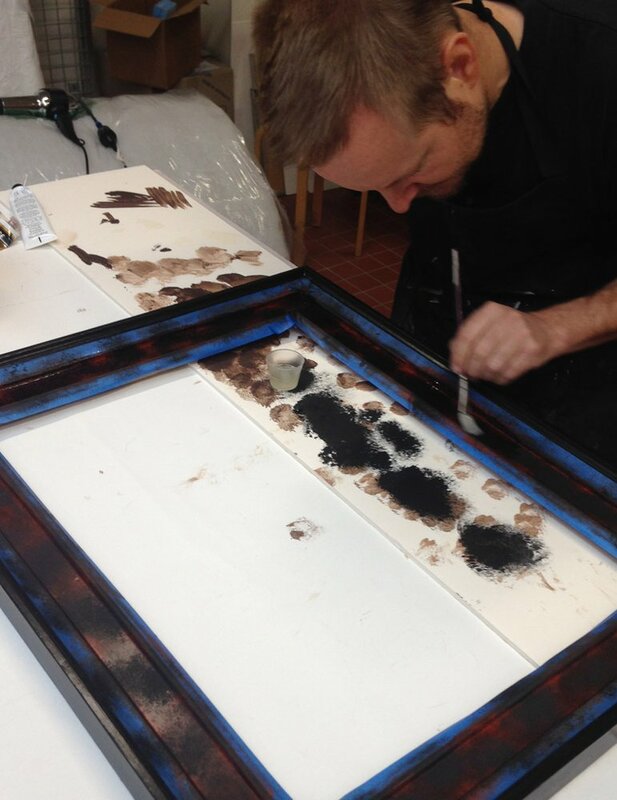 Tom Langlands applying a clear coat to saturate the rich colours of the imitation tortoiseshell and give it depth. Detail of the finished tortoiseshell frieze. 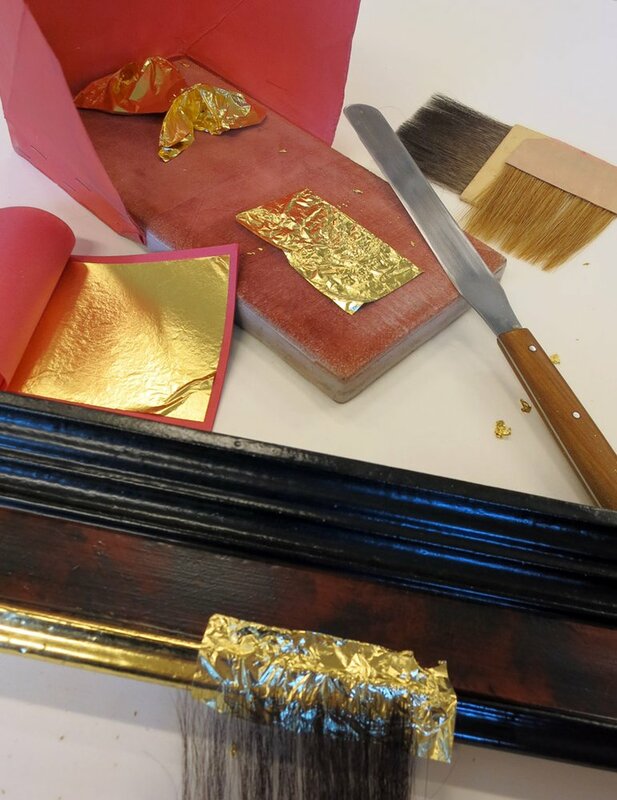 Oil gilding the sample in preparation for gilding the inner edge of the frame. 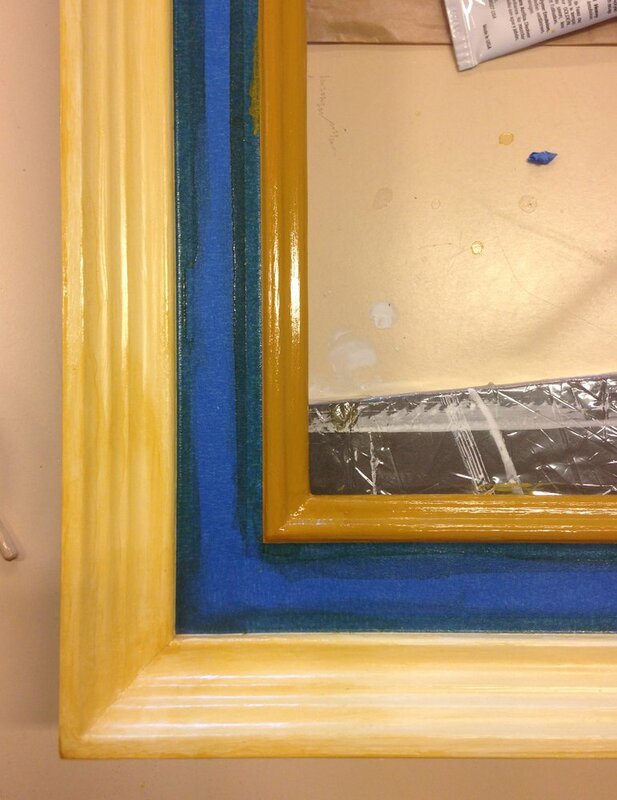 Corner detail of completed frame, the gilded inner echoing the gold in Henry’s sleeve and jacket. The restoration of King Henry VIII could not have happened without support from the Conservation Benefactors, most notably Dorothy R Spry (in memory of), Hamish Parker, Leonard Groat and Kenneth Reed AM. The portrait is on display from 12 May to 9 September 2018 in Henry VR.